The Centers for Disease Control and Prevention also conducts surveys and studies to look at contraceptive usage across the general population. Their surveys have shown an upward trend in LARC use — a five-fold increase in the last 10 years. Most of the women using these methods are 25 to 34 years old. But women in general use LARCs far less often than the percentage of health care providers reporting they use LARCs in the Planned Parenthood study. LARCs are highly effective contraceptives, even more effective than the popular birth control pill. Once put in place, they provide protection that lasts for several years. And when removed, their contraceptive effect is quickly reversed. So if you are heterosexually active and really want the most protection from becoming pregnant, LARCs are the way to go. Yes, some women may hesitate at having something inserted in their body, but take a look at all the new advances in health care that require something being placed in your body: heart stents, knee replacements, hip replacements, internal hearing aids, brain stimulators … I could go on. An IUD is so tiny and implants are the size of a matchstick placed under your skin. And if you’re worried about IUDs remaining in place for several years, or if you do have side effects you can’t tolerate, they can be removed at any time. Their effect is reversible right away. In the past, IUDs were not recommended for younger women and teens, or for women who had never given birth. New studies have found that IUDs are actually safe and effective for women no matter what age. Pediatricians are now encouraged to counsel and recommend LARCs as first-line contraceptives for adolescents because they are so effective, safe, and easy to use. And they provide long-term protection at a time when most women are not ready to start a family. Perhaps the cost of LARCs has kept some women from choosing them. 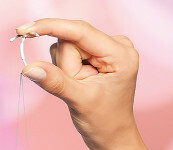 There is an initial high price for the IUD in the range of hundreds of dollars, and then a health care provider must insert it and remove it. But with the Affordable Care Act, insurance companies are required to cover all birth control methods approved by the FDA. This includes IUDs and implants, along with pills. In their discussion about why more women do not choose LARCs as their contraceptive method, the authors of the Planned Parenthood study suggest women may hear anecdotal misinformation about them through social networks or don’t really understand their effectiveness. Providers, on the other hand, get much more information about contraceptive effectiveness and safety in the course of their professional work, and this access to data may influence their choice of contraceptive. If this information could be passed on to their patients, possibly more women would choose LARCs. Certainly each woman must make her own informed choice regarding the birth control method that she feels most comfortable using. Planned Parenthood providers can offer a full discussion of all methods available, including LARCs. If an IUD or an implant sound like interesting options for you and you want to learn more, contact your local Planned Parenthood health center for an appointment. This entry was posted in Birth Control and tagged adolescents, birth control, birth control pill, contraception, contraceptive, contraceptive implant, effectiveness, efficacy, family planning, health care provider, Implanon, implant, intrauterine contraceptive, intrauterine device, IUC, IUD, LARC, LARCs, Let's Talk Contraception, long-acting reversible contraception, long-term contraception, Mirena, Nexplanon, Paragard, Skyla, teenagers, teens by Rebecca. Bookmark the permalink.